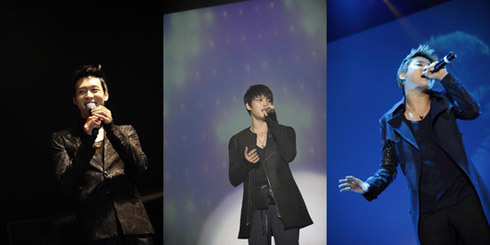 Boy band JYJ opened a new chapter in K-pop history on Saturday by staging a solo concert in Europe for a first time among Korean performers. 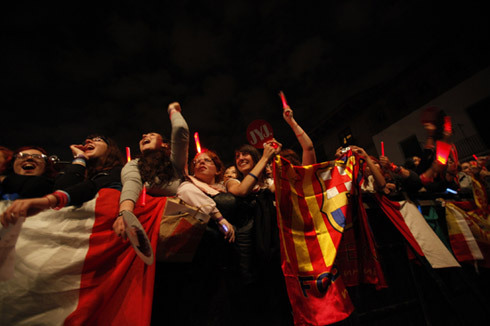 They staged a successful concert in Poble Espanyol, an open-air architectural museum in Barcelona, Spain. Since the venue was located in a heritage site, they were not allowed to use special effects such as fireworks, and the size of the concert was by necessity restricted. The band started the show with the song "Empty" from their English album, which was released worldwide last year. They followed this with "Ayyy Girl," composed by U.S. producer Kanye West, and "Be My Girl" by Rodney Jerkins. They also showed off their dancing skills with local performers to a routine created by renowned Spanish choreographer Rafa Mendez. 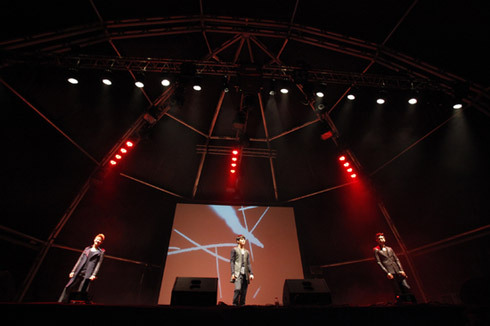 Over 3,000 fans came to watch the concert from all over Europe including France, Romania and Switzerland. Some even flew from Asia and Latin America, and a certain number of fans arrived the previous day and camped out to make sure they caught the show. The band will hold another European concert in Germany this coming Sunday. JYJ was formed when three of the original pop quintet TVXQ sued their management agency SM Entertainment in 2009 and left to create their own band.